LAKE PLACID — Say hello to Bernie the Bear. 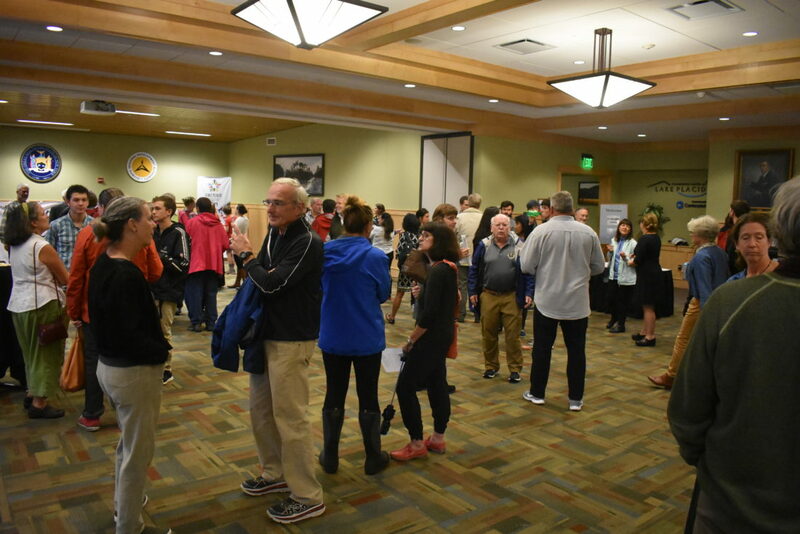 The Lake Placid 2019 winter International Children’s Games Organizing Committee held an informational meeting Thursday night at Conference Center to inform the community about the event, ask for volunteers and reveal the mascot. About 80 people attended. The ICG is a winter sports event from Jan. 6 to 11 that will draw between 500 and 600 student athletes ages 12 to 15 from 33 different cities around the globe to compete in sports such as Alpine skiing, biathlon, hockey, speedskating and more. Cleveland and San Francisco have hosted the summer games in 2004 and 2008, respectively, but this will be the first time a U.S. city hosts the winter ICG. 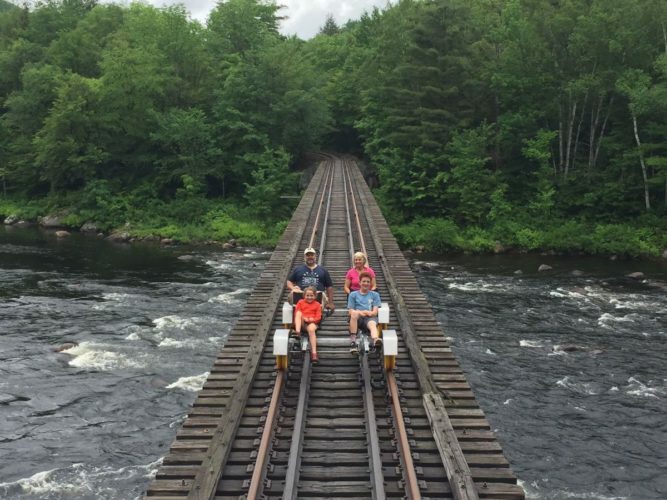 Lake Placid’s economy revolves around successful sporting events and tourist attractions, and ever since the 1932 Winter Olympics, that success has been fueled by volunteerism. 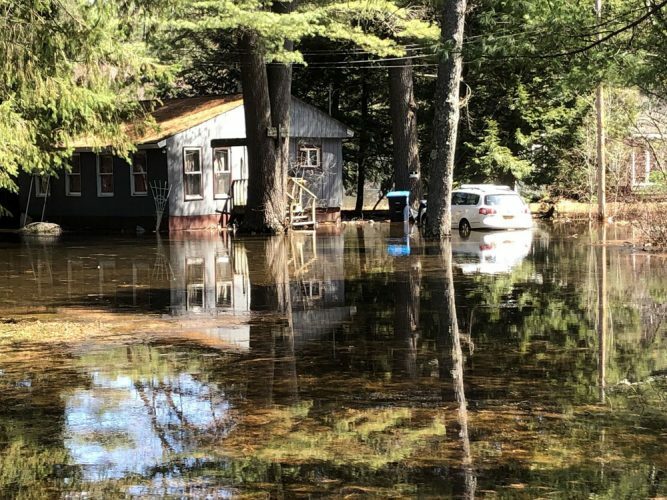 Each year, events such as the Ironman triathlon, the Lake Placid Summit Classic lacrosse tournament and the CanAm Rugby Tournament require plenty of local volunteers. The upcoming winter ICG is no different. Mowrey said the committee is looking to fill about 176 volunteer positions for the games. These folks would greet visitors at the hotels and sports venues, provide information and help direct people around the village. “The volunteers are what holds it all together in the end,” she said. Head of volunteers Sue Cameron looked at the attendees and said she saw plenty of familiar faces in the crowd, but that those people can’t do this forever. 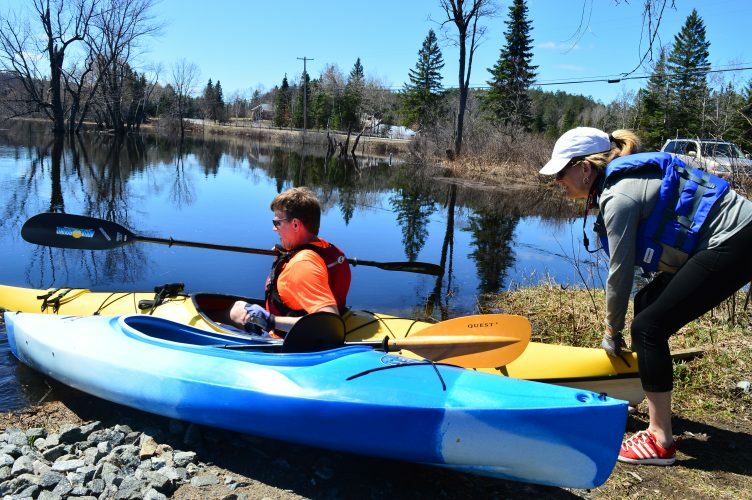 “We’re trying to energize a new generation of volunteers in Lake Placid,” she said. Cameron and Mowrey said that if people do want to volunteer, it would be best to sign up for three shifts. “We want the visitors to feel a sense of community and see the same faces wherever they go,” Cameron said. There is a different mascot every year for the ICG. It’s usually a symbol representative of the host city. For Lake Placid, that symbol is Bernie the Bear, an anthropomorphic black bear. 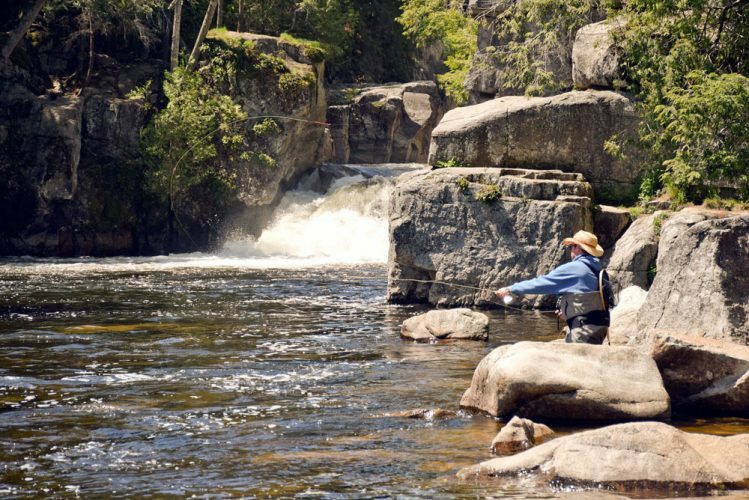 The choice of animal fits because more than half of New York’s black bear population lives in the Adirondacks. 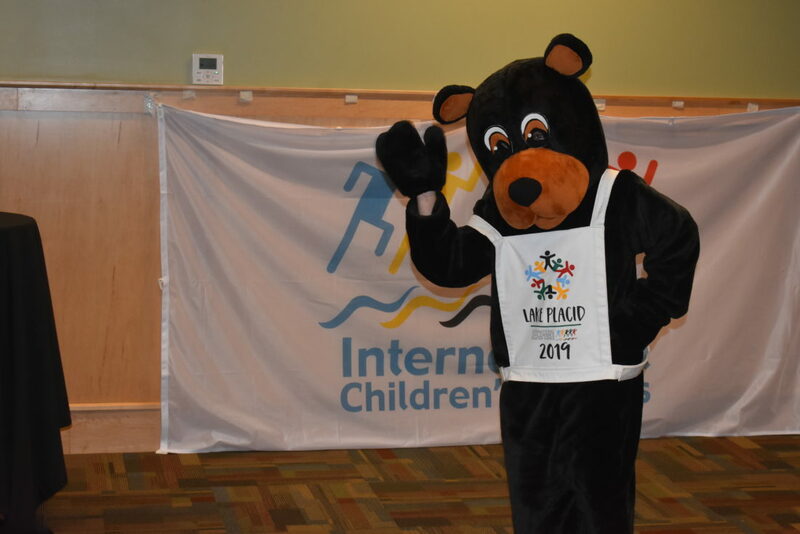 In many languages, “Bernie” translates to “strong as a bear.” Because the ICG has both boys and girls competing, Bernie is gender-less, so it doesn’t relate to one athlete more than another. 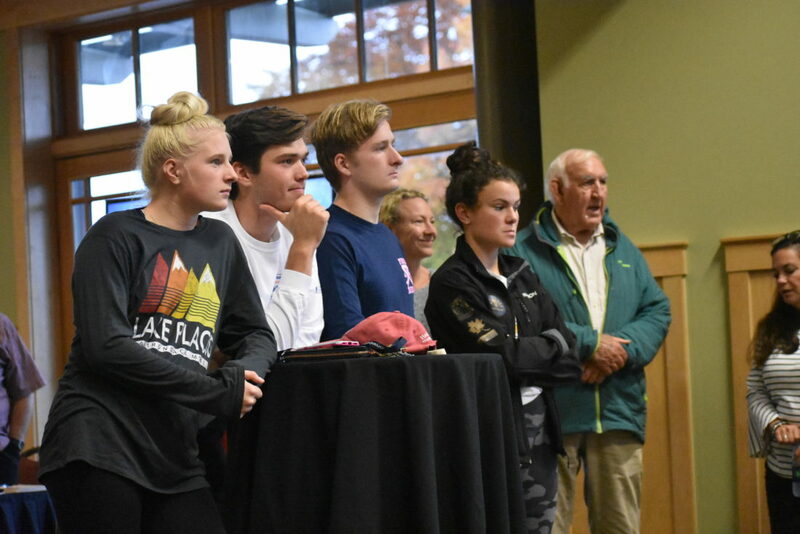 Other guests at the meeting Thursday night included Chelsea and Aiden Smith, Jake Reynolds and Audrey Higgins-Lopez, a group of Northwood School students who competed at the 2016 Innsbruck, Austria, ICG. The Smiths and Reynolds went for Alpine skiing, and Higgins-Lopez went for freestyle skiing. “I still stay in touch with some of the kids I met over there,” Reynolds added. 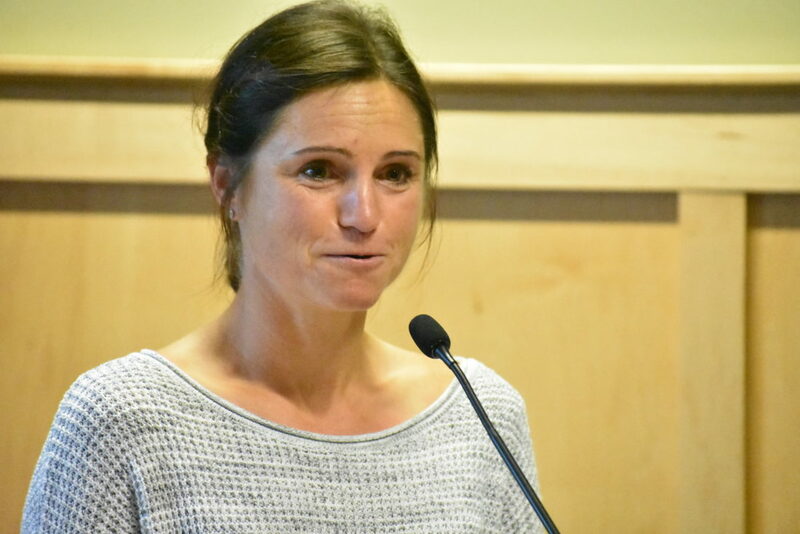 It’s been said at previous press conference, but the ICG for Lake Placid is less about the economic impact and more about the international exchange.